It’s been estimated that close to 10% of US households have aquariums. And why not—aquariums are an inexpensive and interactive way to observe a variety of fish, often with minimal upkeep for a pet. Yet despite the ease with which you can purchase and possess a wide range of fish species, there is a growing list of ecological concerns that accompany the aquarium industry. Earlier this month in Science, Magalhães and Vitule reminded us that most introductions from aquaria come from (1) intentional release, (2) unintentional release (often at breeding facilities), and (3) discarding of unnoticed juveniles. Because intentional release is likely the most common type of release, I would like to review some of the scenarios we have seen play out following release of aquarium pets. Lake Tahoe, on the border of California and Nevada, is one place that is no stranger to introduced species. Recent estimates place over 50% of the Lake’s freshwater fish as introduced species. Obviously, some of these species were put there on purpose—like many trout species—to increase angling opportunities. 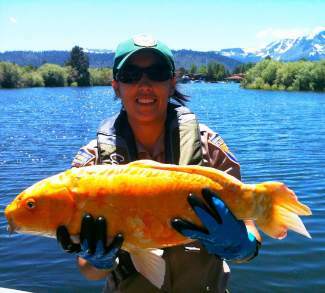 However, some goldfish in Lake Tahoe have acclimated well, and are weighing in at several pounds. Biologists are concerned that as the Lake warms with the climate, warmwater goldfish will have an increasing advantage over native species. On the east coast of the US, many people are familiar with the growing range and increasing density of the Indo-Pacific lionfish. The source of the introduction(s) of lionfish is not known, but some attribute the introduction to ballast water from cargo ships. Others claim that lionfish were introduced when Hurricane Andrew (1992) damaged a beach-side aquarium, and subsequently released fish into the nearby water. Although both of these introductions could be considered unintentional, others suspect that lionfish are continually introduced when they outgrow a home aquarium. And based on the popularity of aquariums and lionfish in Florida, these intentional releases are likely. 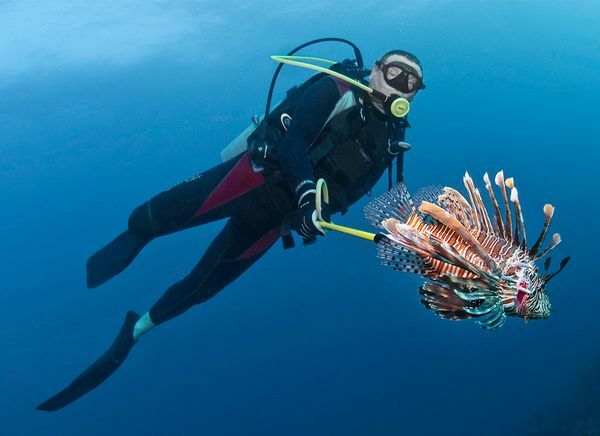 What is known about lionfish in the Atlantic is that they lack a natural predator and that their establishment and successful reproduction is negatively impacting native species. In fact, lionfish are doing so well in the Atlantic, they have become overweight. Of course, aquarium releases of invertebrates and even algae—not just fish—can cause extensive ecosystem damage. A variery of snails and algae have similarly negative stories surrounding their release into non-native waters. Many developing countries now have regulations concerning importation of aquarium species, but of course, many countries do not have regulations and illegal importing goes on everywhere. Previous Post Finding Nemo lied to your kids, and they will do it again in the sequel: Finding Dory! Next Post How Obama’s fish made me question my view of "species"
I wonder what the biological impact of the Suez Expansion project will be on time scales important to ecological and evolutionary processes? 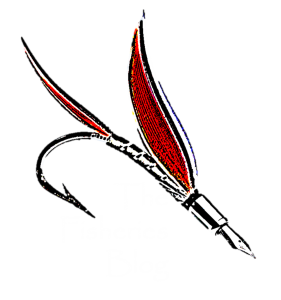 Great post about aquariums. Thanks for sharing this to us and keep posting. Good post!! An impressive share! I just forwarded this onto a coworker who has been conducting a little research on this. Domestication can do good as well bad things for animals..